These are the best Bitcoin exchanges were you can buy Bitcoin with a bank account or a bank transfer. A wire transfer is maybe the most trusted method, with relatively low fees, depending on the exchange rate. Some countries offer specific transfer types, like SEPA transfer or ACH transfer (USA). Coinbase is a great option, with high liquidity and buying limits and a simple registration process. It will probably take several days for the wire transfer to be fully processed. CEX.io is a trusted Bitcoin exchange that accepts bank transfers using ACH in the USA or SEPA transfer for EU. The exchange gives worldwide service and has a very low trading fee. BitPanda is another reliable broker that will accept your bank account payments via SEPA, SOFORT and Online Bank Transfer. You will also enjoy low fees. Bitstamp, one of biggest Bitcoin exchanges, serves Europeans and customers worldwide who want to buy bitcoins with SEPA bank transfer. They have a low 0.25% fee, dropping to 0.1% with volume. Kraken is considered the world’s largest euro Bitcoin exchange. It accepts bank transfer deposits from US, European, Canadian, British, and Japanese customers. Deposits are made using international bank transfer, SEPA transfer, and Interac. Low 0.25% fee dropping to 0.1%. At Bitfinex you can deposit large sums using SWIFT. The exchange has low fees even for low volumes customers: 0.1% to 0.2%. 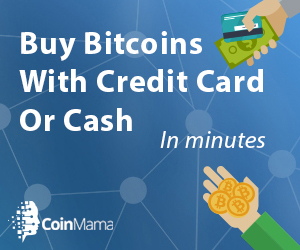 If you want to learn more on how to Buy Bitcoin with a credit card or with cash click here.